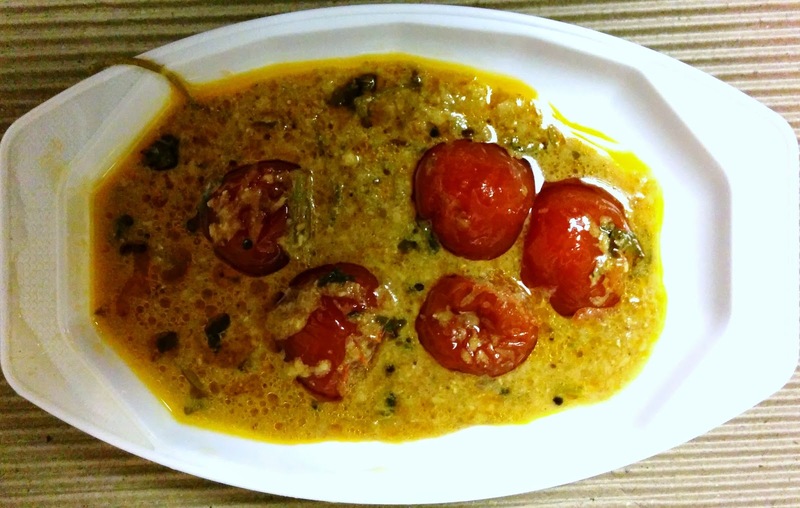 Tomato ka salan is a popular tomato,sesame,coconut and peanut curry of Hyderabad. It accompanies Hyderabadi biryani.The dish contains Tamtoes, peanuts, till seeds, dry coconut, cumin seeds,ginger and garlic paste, turmeric powder, bay leaf and thick tamarind juice. Tomato ka Salan is a traditional Hyderabadi dish prepared in weddings and special occasions. 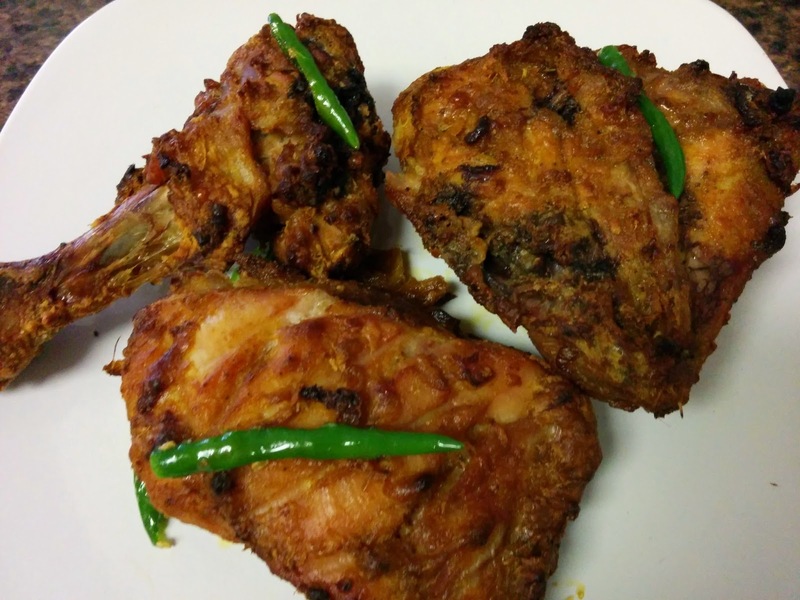 It is a spicy dish served with rice,pulav,biryani or chapati. Use tomatoes which are very small. Heat a pan with out oil add sesame seed,coconut powder and groundnut or peanuts, dry roast them on a very slow flame. Put all these three into blender(Sesame seeds,coconut powder,peanuts) along with 1 teaspoon of tamarind extract,salt and 1 tablespoon of thick yogurt, add some water and make a thick paste. In the same pan, add one more tbsp of oil, when oil is heated add mustard seeds, when mustard seeds splutters add cumin seeds,green chilli,red chillies and sliced onions, fry till they are golden colour. Next add ginger garlic paste,curry leaves,red chillies,turmeric powder, saute until raw smell of ginger garlic paste leaves. Now add red chilli powder,cumin powder and coriander powder, stir for few seconds. now add peanuts,coconuts and sesame seeds paste, 1 1/2 cup water and, mix it to thin paste, cook this on a slow flame for 30 minutes. When the mixture is a bit thicker, add the jaggery, chopped coriander. Now add small tomatoes which are cut at both the ends.Cook on low flame with closed lid for another 5 to 7 mins. Please follow my blog and give your valuable comments and suggestion.Your comments are most precious to me. Thank you very much.